This entry was posted in Uncategorized on February 28, 2019 by lisanqd. This entry was posted in Uncategorized on December 25, 2018 by lisanqd. This entry was posted in Uncategorized on July 26, 2018 by lisanqd. 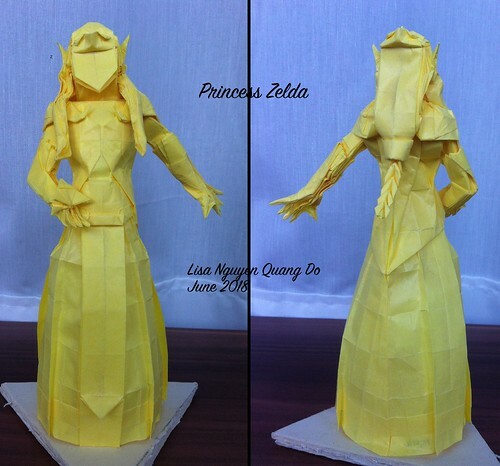 Princess Zelda from the Zelda video-game series. With the triforce! The original model may look simple, but all of the little details and ornaments make it really difficult to re-design. I simplified a lot of them. This entry was posted in Models on July 6, 2018 by lisanqd. 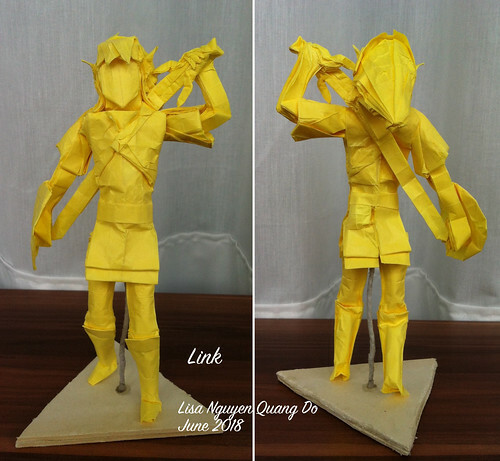 Link from the Zelda video-game series. Complete with the Master Sword and the Hylian Shield. I tried to put as much details as possible, with the sword harness and belt pouch, but I still had to simplify the model quite a lot, especially around the collar, belt, and without the details of the shield. This entry was posted in Models on June 23, 2018 by lisanqd. Folded in the train back from Origami Deutschland 2018. 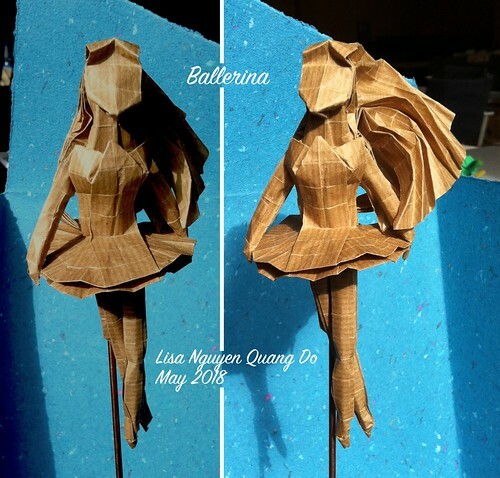 I used the other half of the kraft paper used for the Ballerina. Dimensions: 33 x 83 cm. The dress design is a mashup of a few Victorian era dresses. Not historically accurate! This entry was posted in Models on June 11, 2018 by lisanqd. I exposed some of my models at the German Origami convention 2018. It was a great anniversary convention for Origami Deutschland, with lots of special guests, and a world record attempt! 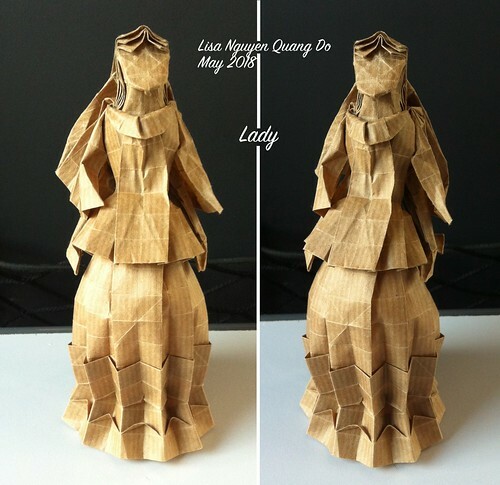 This entry was posted in Exhibitions on May 25, 2018 by lisanqd. Inspiration came back at Origami Deutschland 2018! I wanted to fold something and somehow, the ballerina came to mind in the morning. In the evening, the model was complete. The original paper is a 33 x 83 cm kraft paper that was kindly given to me by one of the paper sellers at the convention. They were using it to pack the paper that they actually sold! The blue background is some amazing paper from John Gerard! This entry was posted in Models on May 25, 2018 by lisanqd. This entry was posted in Uncategorized on February 26, 2018 by lisanqd. This entry was posted in Uncategorized on February 7, 2018 by lisanqd.